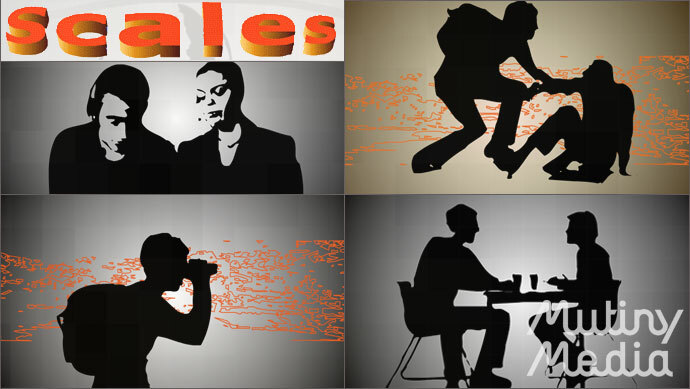 Scales is an online interactive drama. The player arrives at the scene of a crime and must go through surveillance footage to investigate a double-dealing plot to steal sensitive DNA samples involved in secret human cloning research. This science fiction narrative was cast, filmed and then reanimated for the web.